Ubisoft has announced it will be releasing its first big content add-on for The Division 2 next week. The update, entitled Invasion: Battle for D.C., will largely focus on endgame content, including the new Tidal Basin stronghold and World Tier 5 difficulty and loot. The Tidal Basin will task players with tackling a complex military base, and once you’ve completed the stronghold, you’ll have access to World Tier 5. The update will also give players the opportunity to repeat Invasions. All this info was revealed during the most recent The Division 2 “State of the Game” livestream, which you’re free to check out for yourself if you have half-an-hour to spare. Changed the Clan Member UI color to not conflict with Elite enemies. Fixed abnormal skill behavior when equipping a skill after having switched to a grenade. Fixed an issue where armor/gear scaling would not take World Tiers into account. Tom Clancy’s The Division 2 is available on PC, Xbox One, and PS4. The Invasion: Battle for D.C. content drops on April 5. 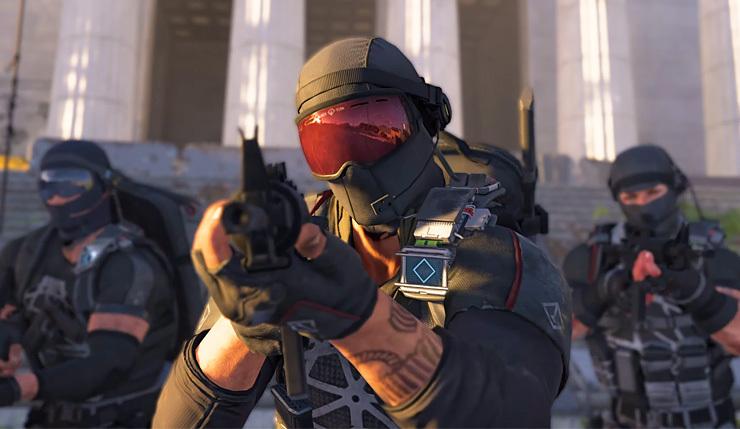 This is not one of the three major updates Ubisoft has promised for 2019 – the first one of those arrives sometime this summer.